If you are a financial advisor who helps people plan for a secure retirement, then you are remiss if you ignore Social Security. In fact, most financial experts agree that Social Security is the foundation of any sound retirement plan. "There's money left on the kitchen table of seniors. It's the greatest omission in retirement modeling and most financial advisors have yet to figure it out. And their lack of knowledge is costing their clients tens of thousands of dollars. 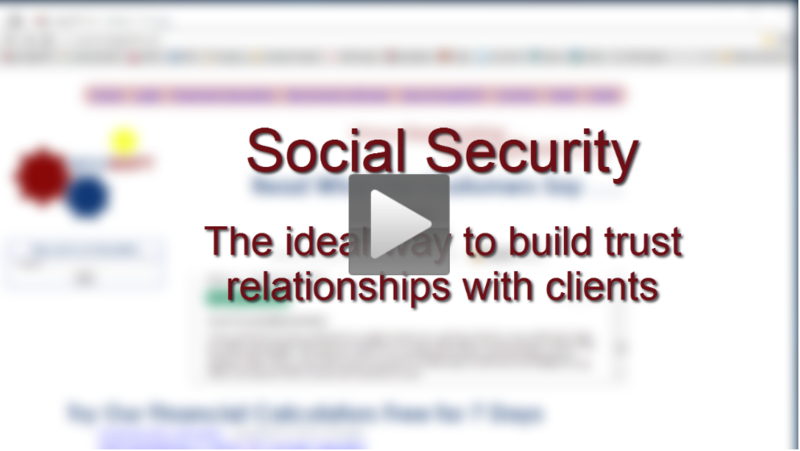 Steve and Michael talk about the biggest entre into the senior market ever conceived: Social Security."